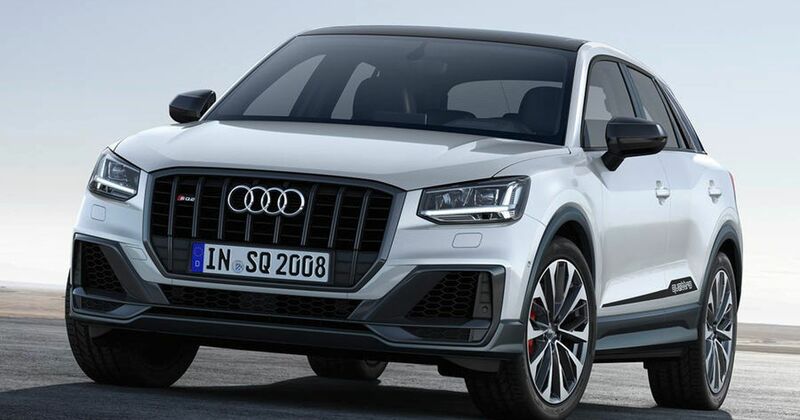 Audi has used a 296bhp engine to turn the ordinary Q2 into something much, much faster. Is this the fastest small SUV around? After months of knowing it’d come, endless teasers and loads of un-camouflaged spy shots, here’s our first official look at the Audi SQ2. Audi is S-ing pretty much every car it makes at the moment, so it was only a matter of time before the baby SUV got a bit feistier. Well actually, a lot feistier. 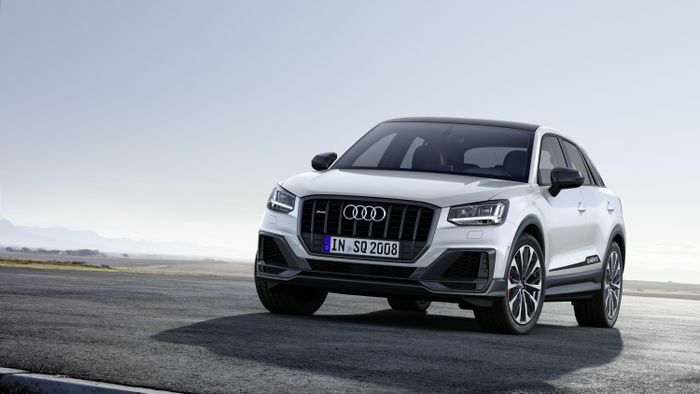 The SQ2 is packing a bit more power than we expected – VW’s much-used 2.0-litre turbo engine produces just shy of 300bhp here – just like in the upcoming T-Roc R. With the standard quattro four-wheel-drive and a seven-speed DSG ‘box, the chunky SQ2 hits 0-62mph in a scarcely believable 4.8 seconds. It’s faster than a Leon Cupra with that configuration. Faster than the BMW X2 as well, which won’t go down too well with Munich’s execs. In fact, it’s even quicker than a Porsche Cayman. But, besides the four tell-tale exhausts, you might not notice – unless one is bearing down on your rear bumper very quickly. It’s very subtle, and almost slips under the radar. On that big, square grille, the tiny SQ2 badge isn’t very noticeable and, if you parked this next to an S-Line model, there wouldn’t be too many differences. That said, one major difference is that, in the SQ2, you’ll be sat 20mm closer to the ground. So that’s a lowered SUV, which itself is a heightened version of a hatchback. Would it have been easier just to get the S3? Maybe, but there’s no doubt this’ll sell like hot cakes. With the BMW X2 M35i already out and a new GLA AMG likely to follow, it’ll be an intriguing triple test. You get 19-inch alloys, a premium audio system and a sporty interior, filled with the usual ‘S’ badging, black headliner and part-leather Alcantara sports seats. Autocar reports that Audi’s brilliant Virtual Cockpit system still isn’t a standard feature, but adaptive cruise control and Traffic Jam Assist are. With the SQ2 finally being revealed, we have just one question. 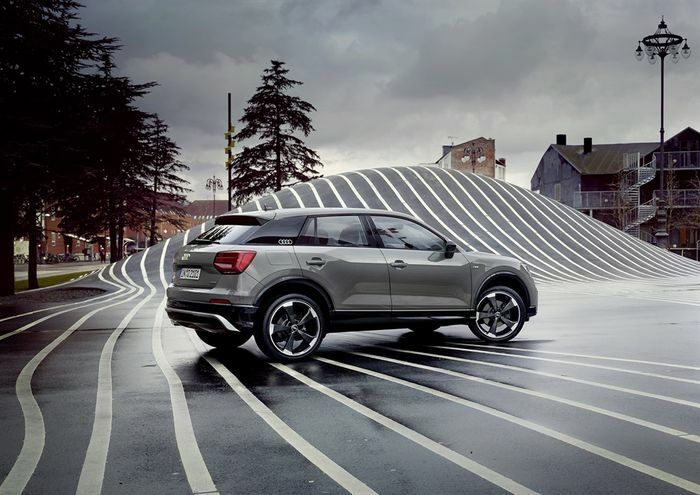 When’s the RS Q2 coming out, Audi?